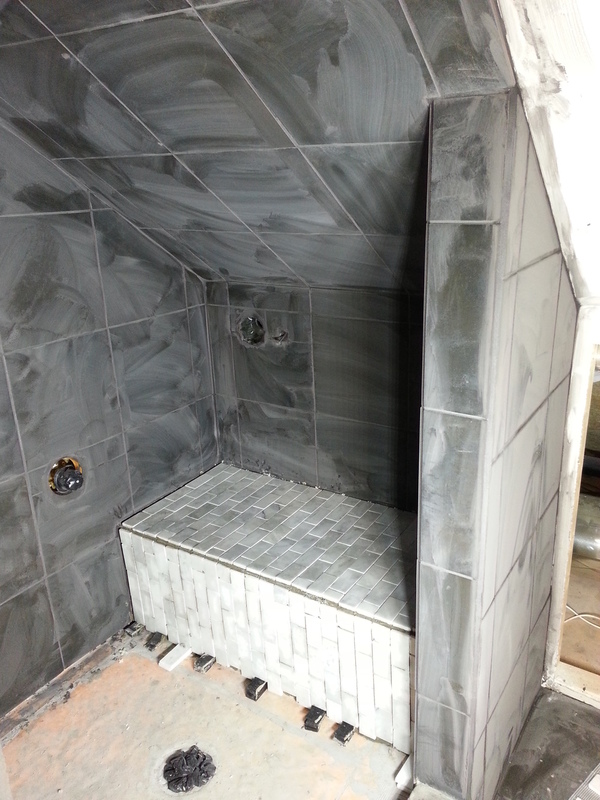 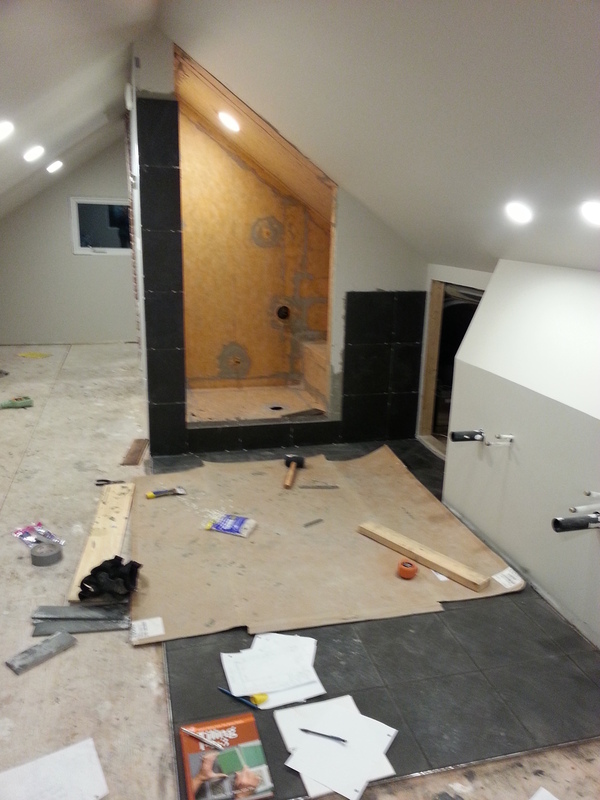 WIR-38-AtticTile — ReNü Engineering Inc.
With the electrical all done, it's time to tile. 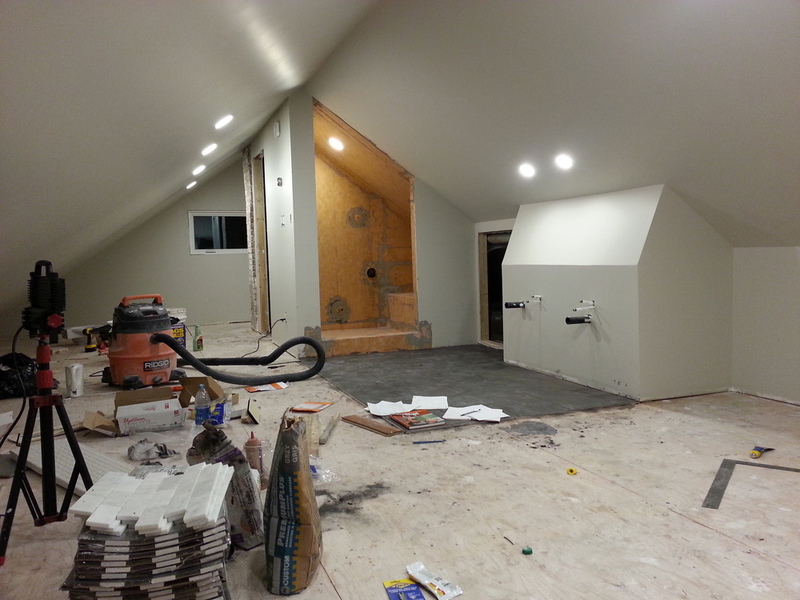 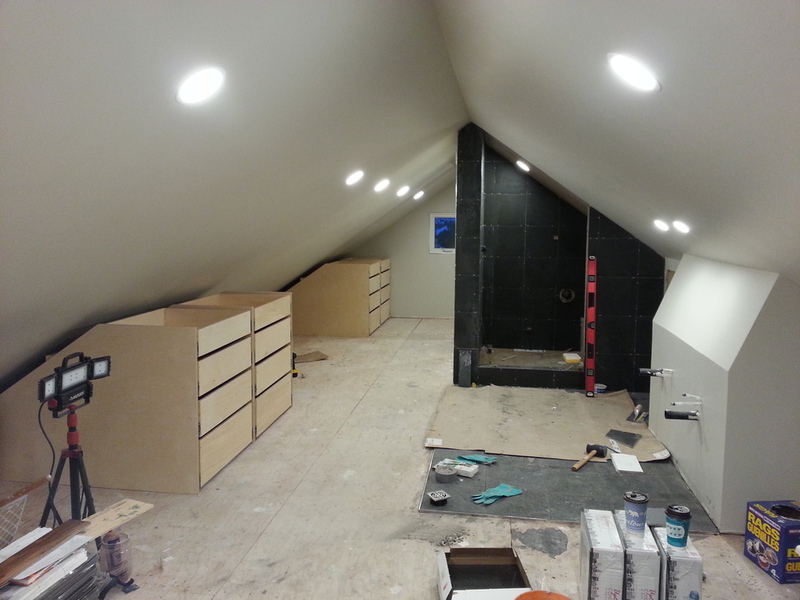 The priority for moving in is to get the attic bathrooms ready. 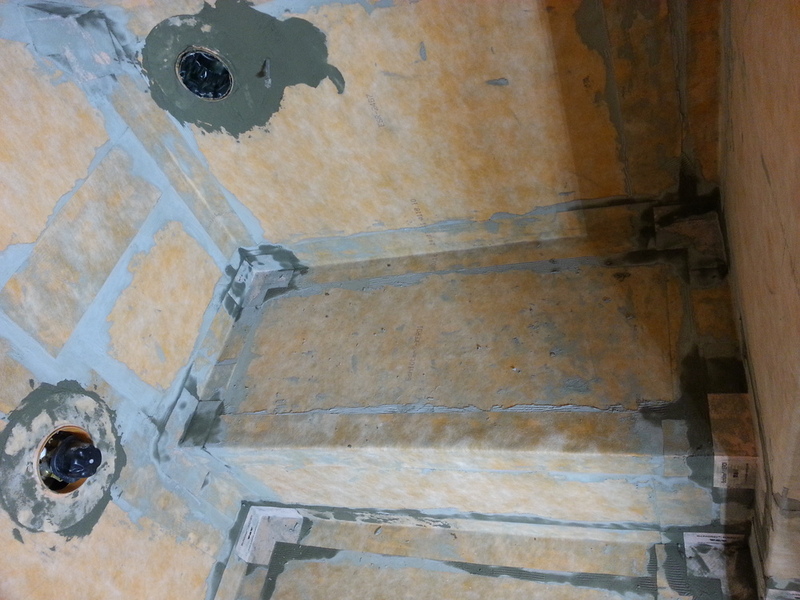 We decided to go with the Shluter / Kerdi system for waterproofing, based on the experience of most people we spoke to. 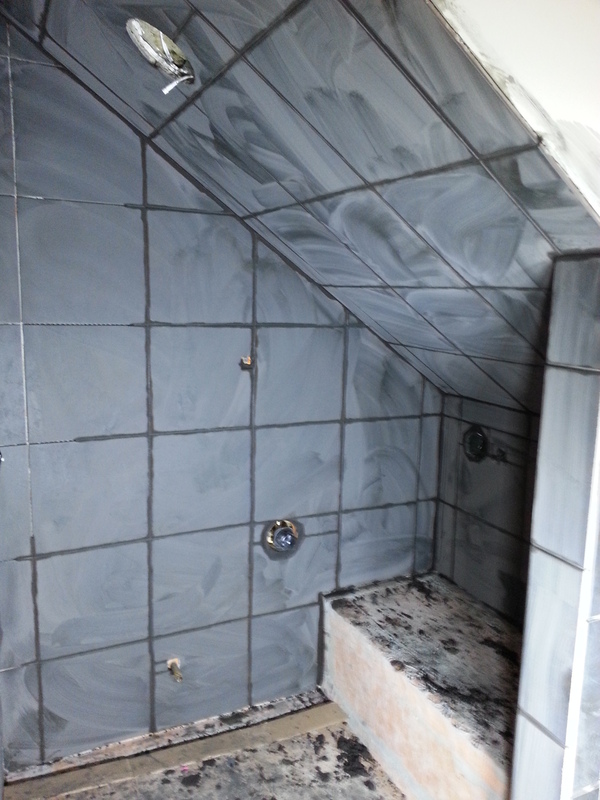 Although pricey ($1500 for both showers), it should definitely be bulletproof. 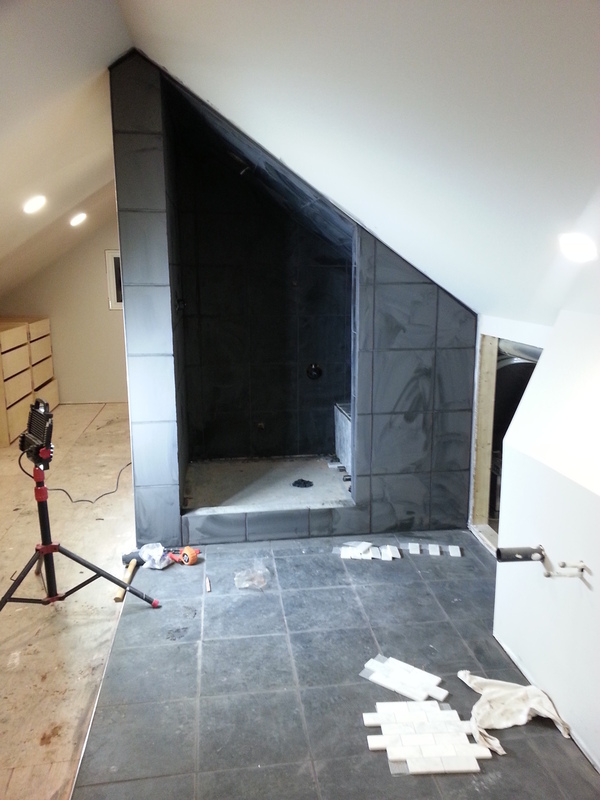 I'm blown away by the amount of time it takes to prep a steam shower, I spent ~20hrs on the foam base, drain installation, and membrane layering for the attic shower.... can't imagine what it'd cost to hire that out! 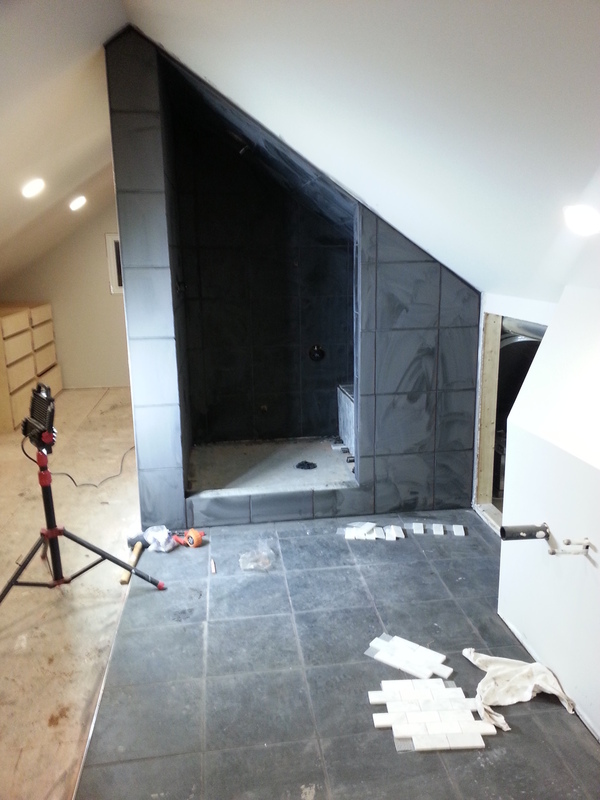 Meg is putting her tiling skills to work, starting with the attic WC, and moving next to the area in front of the shower & vanity. 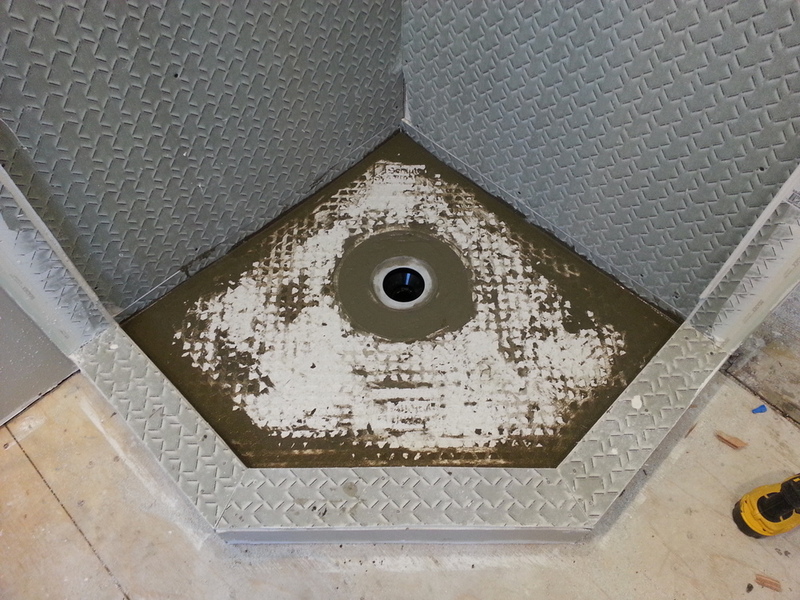 Milestone!! 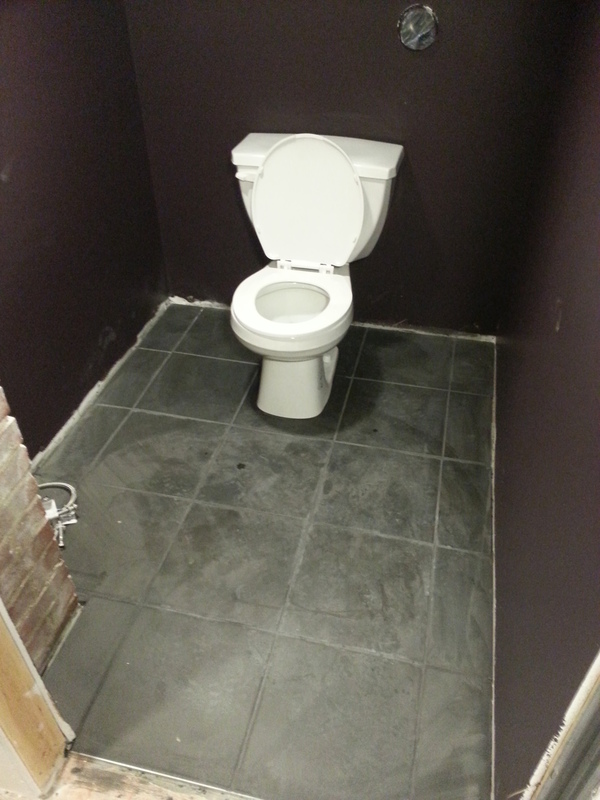 After 16 months of visiting Tim Horton's, we once again have an operational toilet. 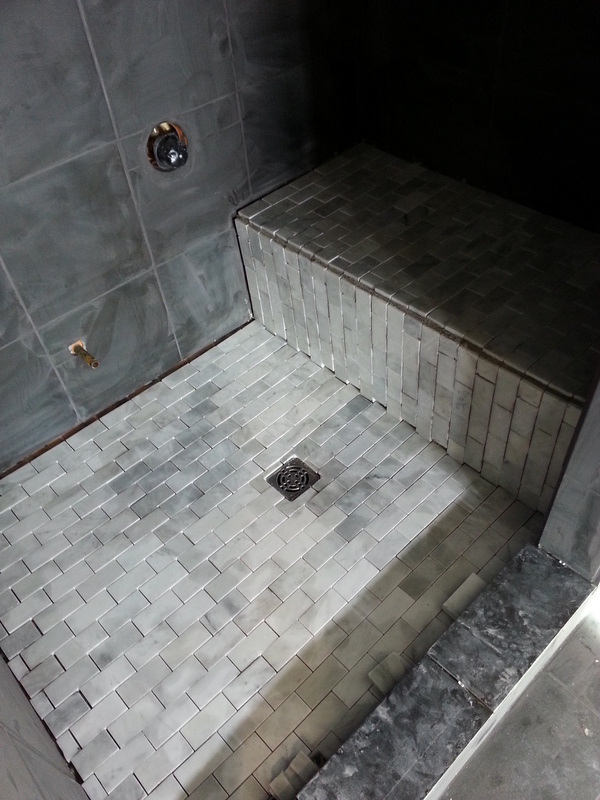 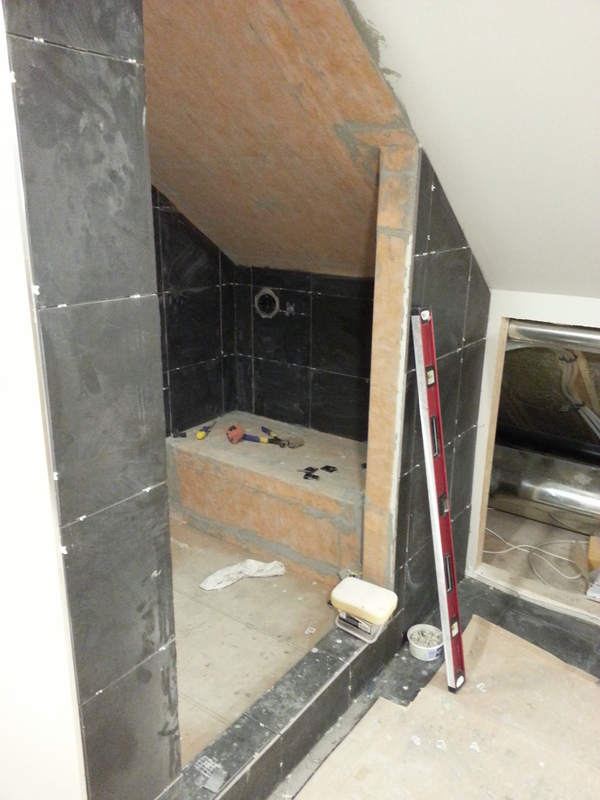 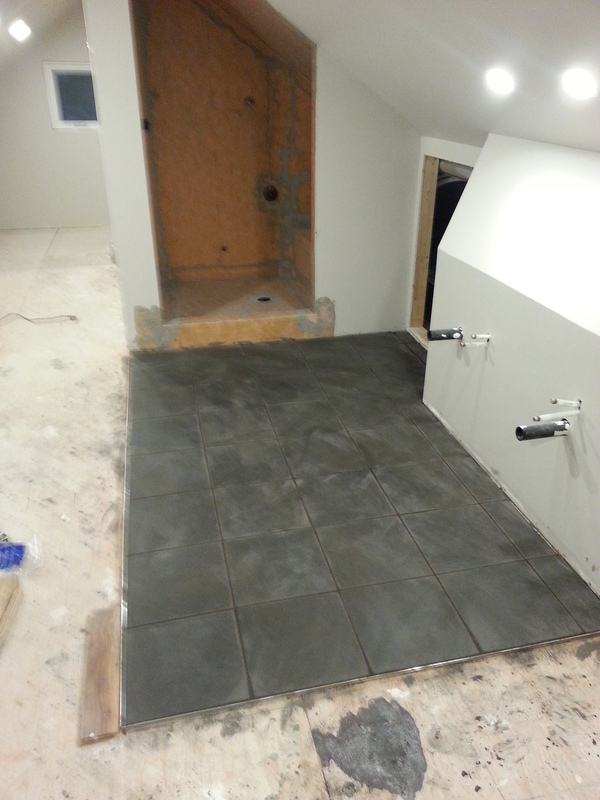 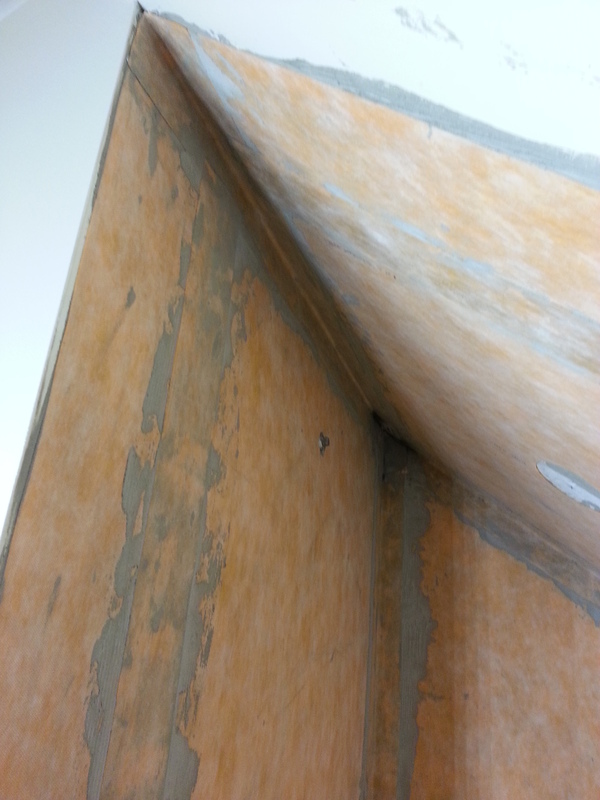 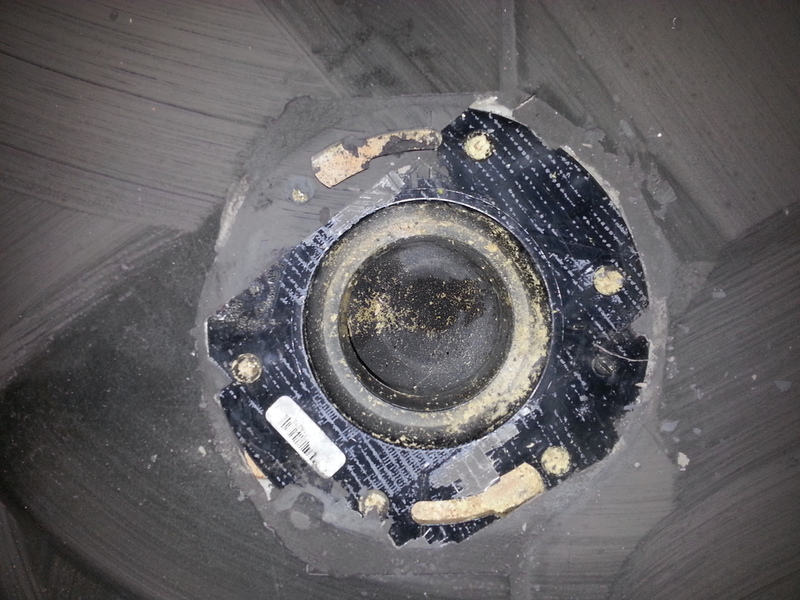 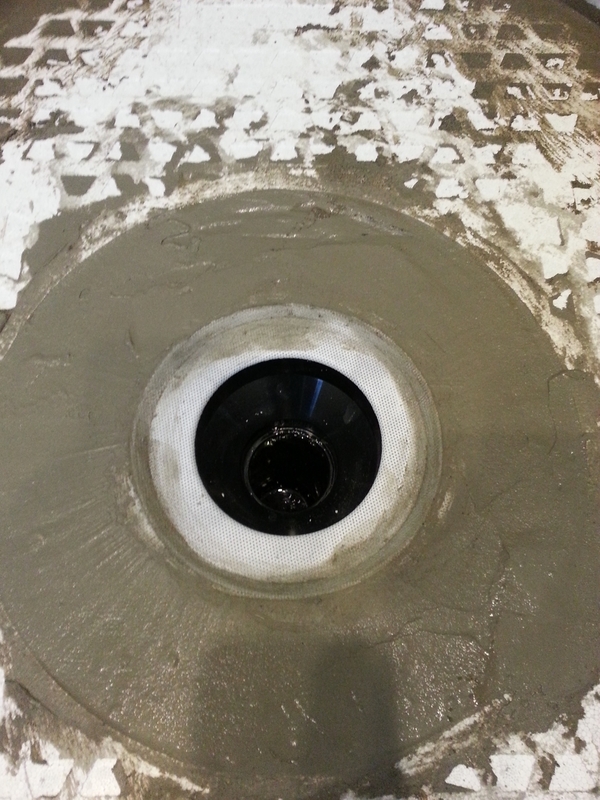 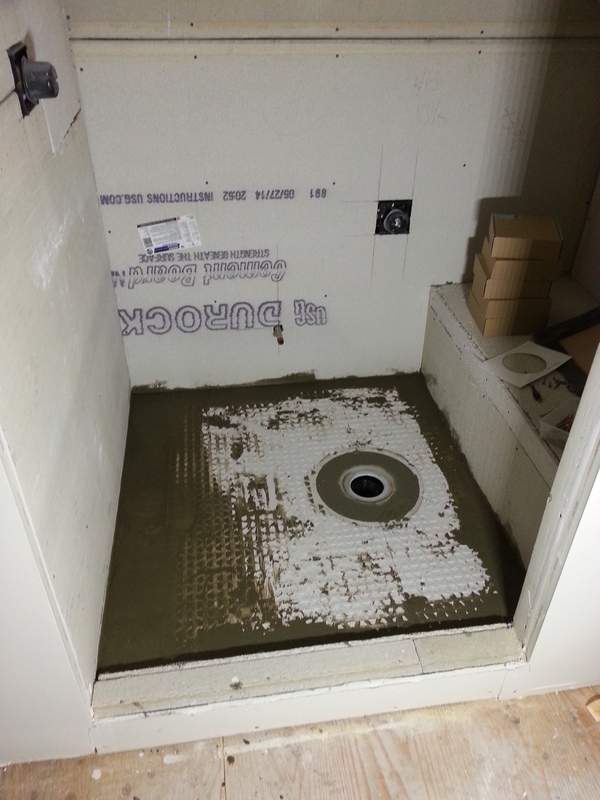 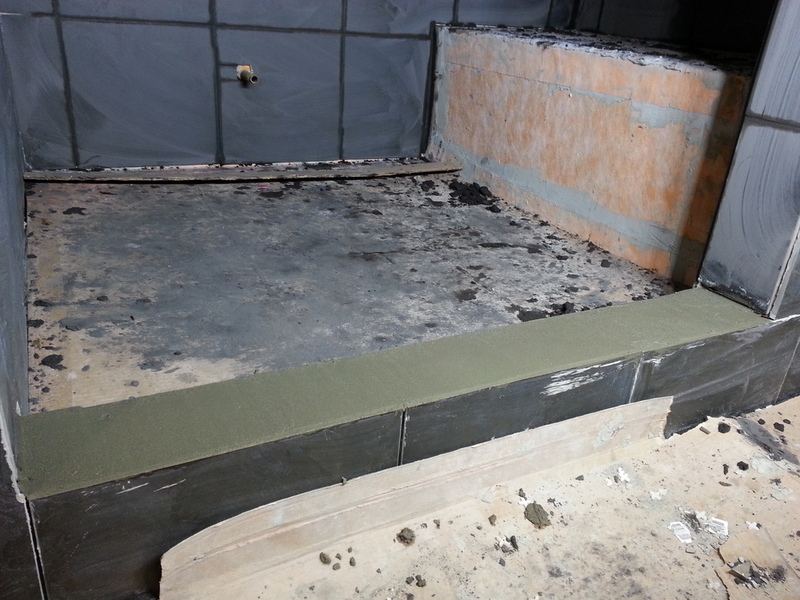 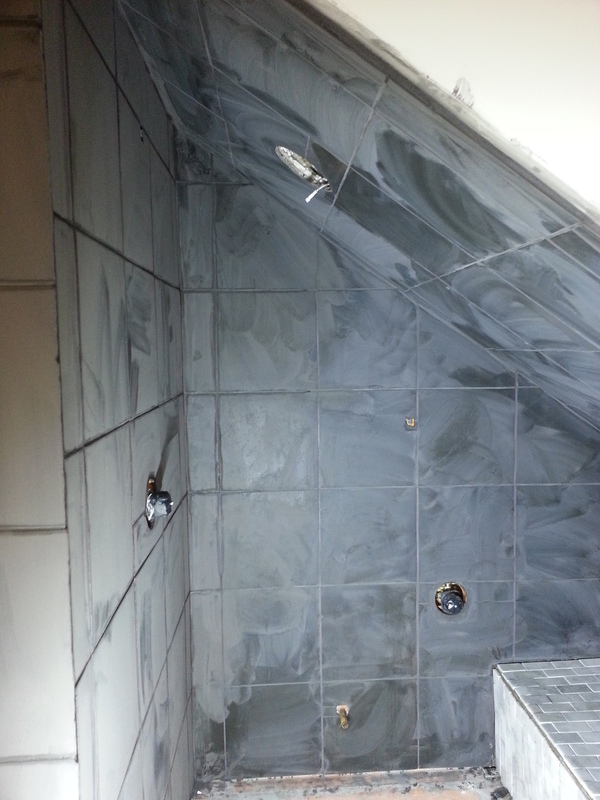 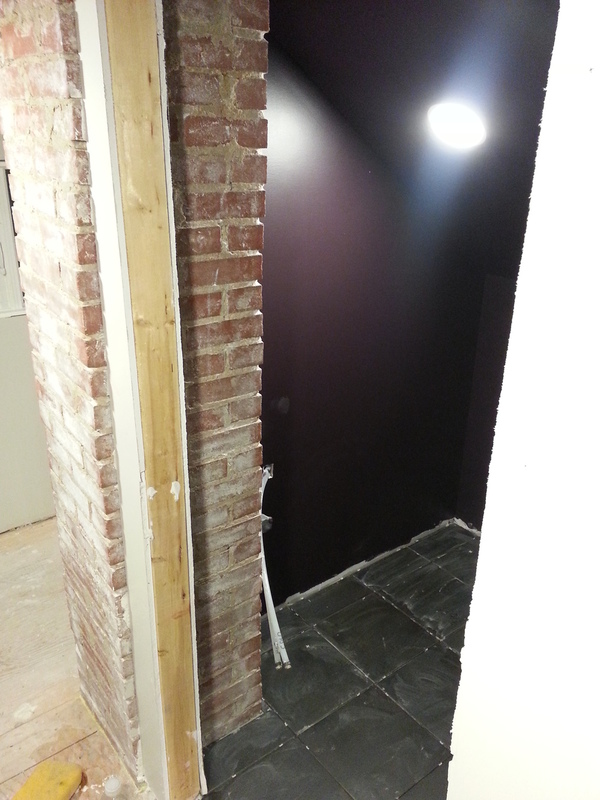 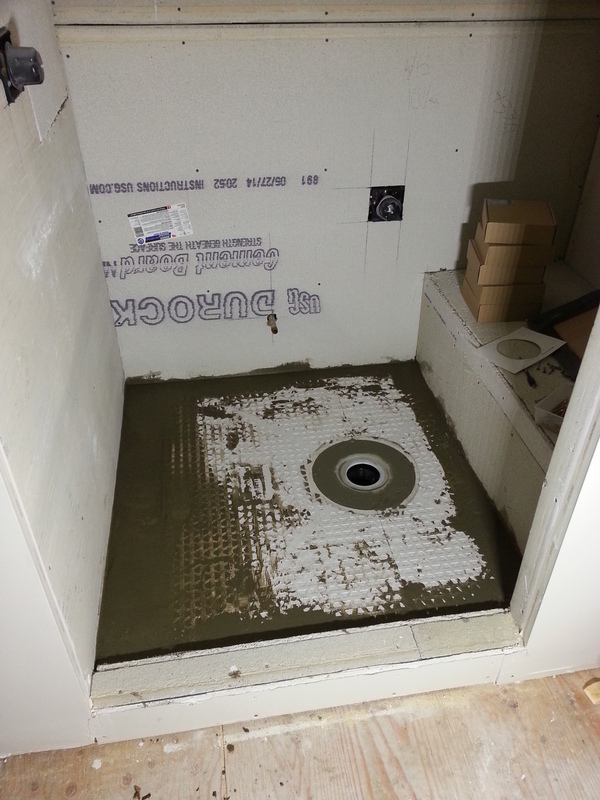 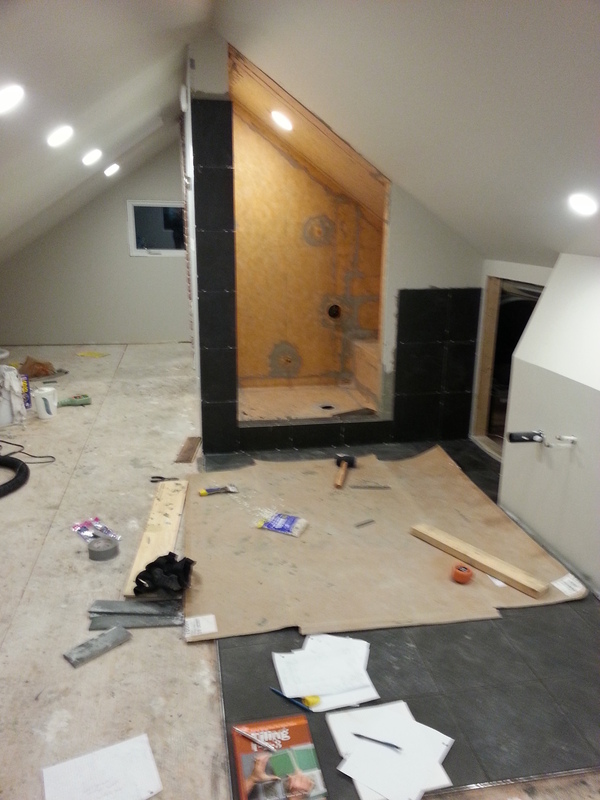 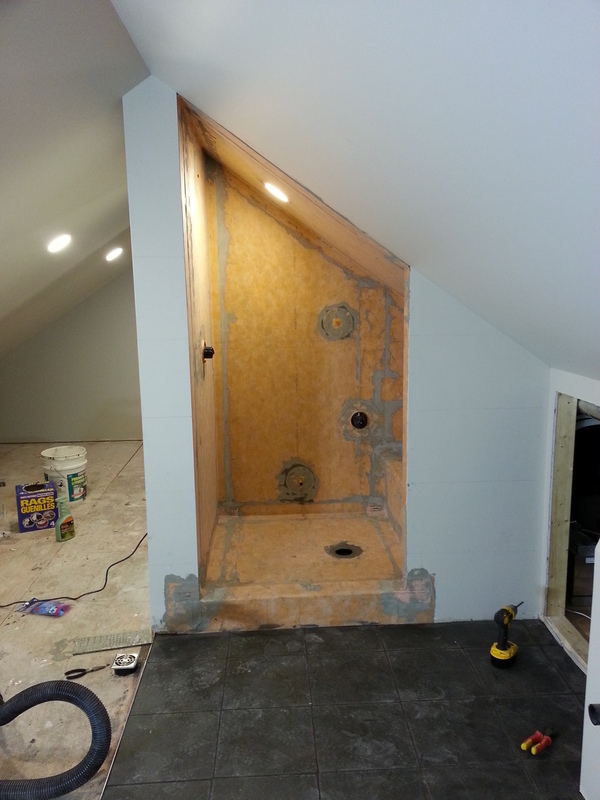 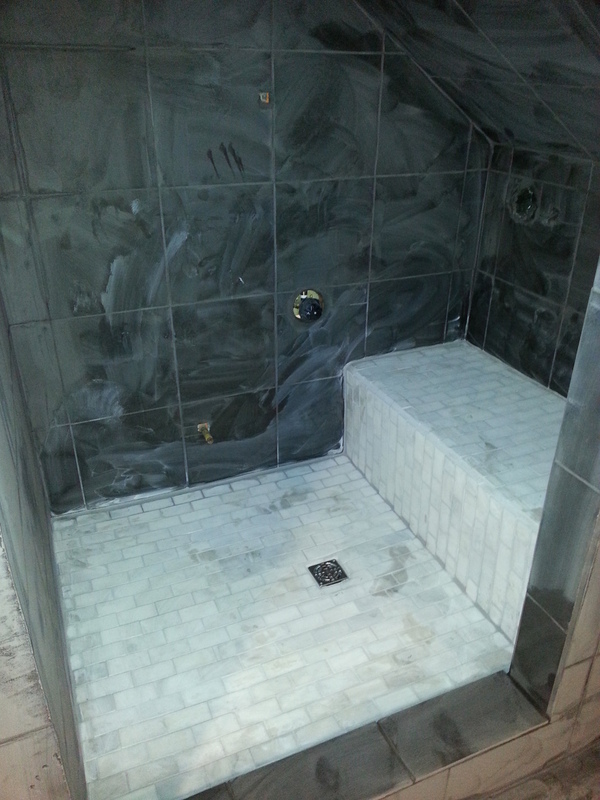 Installed the shower light as well, which required cutting around the cement fiber board.